You have heard the famous dialogue from a Hindi movie .. ek chutki sindoor ki keemat tum kya jaano Ramesh babu“. This seems to be quite true as not may people would know actually why married women in India wear Sindoor. 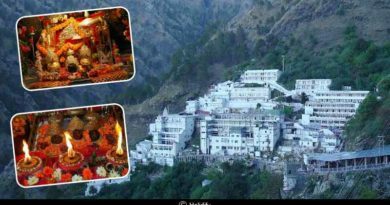 Talking of others, even I didn’t know till I did my research on the subject on google devi as also spoke to some learned people. Almost all married Hindu women wear Sindoor (Vermilion). People who are not aware of religious practices of India, often wonder as to why married women in India wear Sindoor or put that red colour powder in their hair? If you are one of them, here’s the answer. 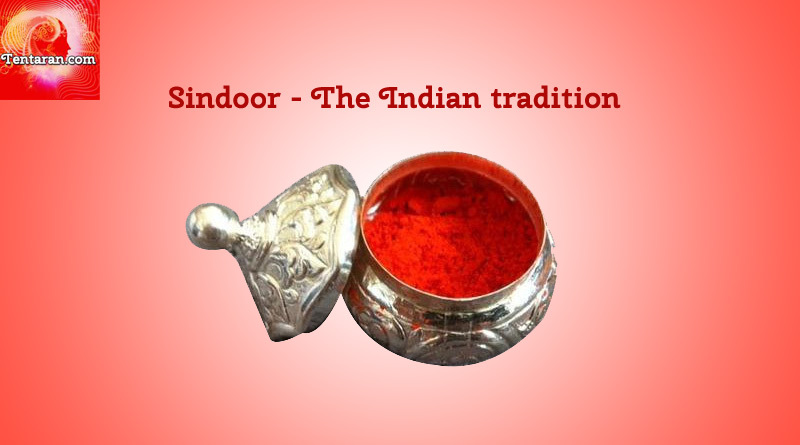 Sindoor (vermilion) is a cosmetic red powder that is worn by a majority of married Indian women. According to Hinduism, it is a mark of marriage and is applied along the parting line of women’s hair. It is considered an integral part of the Solah Shringaar (sixteen adornments) of married women. Hence single ladies can wear a Sindoor dot on the forehead but should not apply the same along their parting, neither do the widows. Going by the customs, Sindoor is first applied to the wife by her husband on the day of marriage and then the wife does the same herself, thereupon. It is often suggested that the red colour symbolises power. It is believed that Goddess Parvati, an epitome of power, protect the husbands of wives who put Sindoor as also ward off any evil that’s been lurking around, which is why, married women offer Sindoor to Goddess while praying. There are also some scientific facts behind application of Sindoor. The vermilion is prepared using Mercury, Turmeric and Lime. Mercury not only helps in keeping the brain active and alert, but keeps one free from stress and strain. Complying to the popular belief, once the nuptial knot is tied, the free spirited girl transforms into a responsible wife and daughter in law who is supposed to ensure well-being of everyone in her new house. Corresponding to this, she is bound to be pressurised and stressed; which is handled by the Mercury that keeps her calm in tough situations. Another benefit of Sindoor is that application of Vermilion activates the Chakras in the forehead and on crown, hence attracting Cosmic and Pranic energy. This in turn bestows the married couple with good health and prosperity. It also enhances the power of concentration. Application of Sindoor becomes imperative during festivals, especially Navratra and Sakranti. As per the Hindu religion, it is customary for the husband to apply Sindoor to his wife’s forehead during important festivals. There is a small group of people that believe/believed that the Sindoor of a woman contained some amount of poison. So when she was attacked, she could consume it and protect her conscience by committing suicide. Then there is another group that believed that the symbolic benefit of Sindoor as power comes from the age old use of tilak by men before leaving for a battlefield. Tilak was done by the wives of the soldiers leaving for the battlefield with a belief that the tilak would help them fight the enemies. Therefore, explaining that Sindoor has its own significance and relevance in the life of an Indian woman. I hope this post would help in you understanding a little about the Indian traditions and why married women in India wear Sindoor. Share your feedback or ask any questions you may have. Stay updated. For more News, Views & more, Subscribe to our newsletter and follow us on Facebook, Twitter and Google+.